John Colgan and Luis Hernandez were elected last year, succeeding Harley Crowder and Jose Orozco. 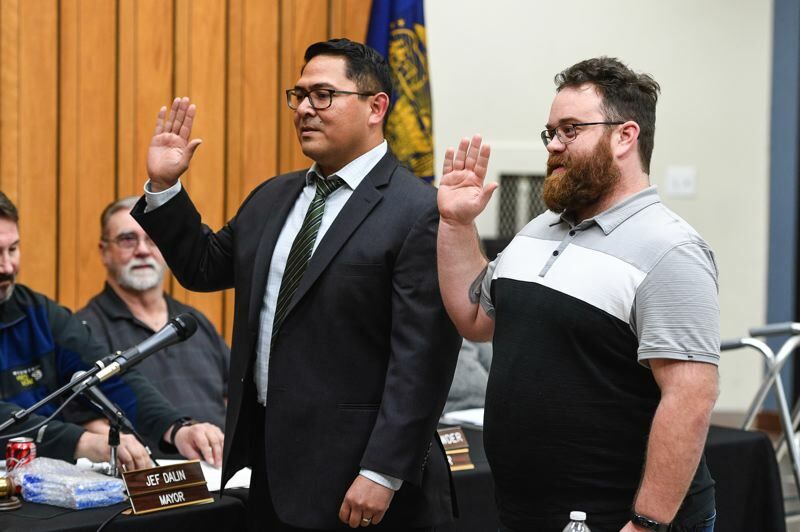 The Cornelius City Council saw its first change in membership since 2011 on Monday evening, Jan. 7, as Councilors John Colgan and Luis Hernandez were officially sworn in. Colgan and Hernandez replace outgoing Harley Crowder and Jose Orozco, who chose not to run for re-election last year. Both Crowder and Orozco were appointed in 2011 and elected to four-year terms in 2014. "You're going to have to learn those new names," Mayor Jef Dalin quipped after City Recorder Debby Roth called the roll, following the swearings-in. Three candidates sought the two open seats, with Hernandez receiving the largest number of votes, followed by Colgan. 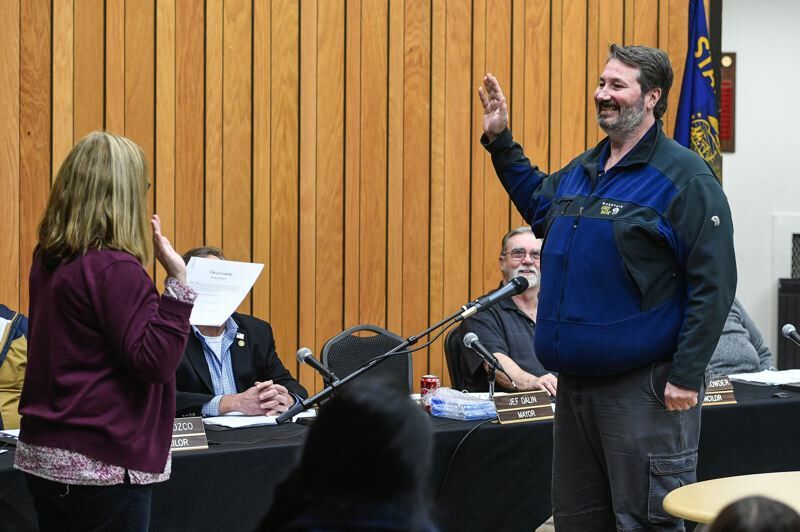 The third candidate, Andrew E. Dudley, also attended Monday evening's council meeting; he was appointed later in the meeting as a volunteer member of the city budget committee. Orozco was also appointed to the budget committee, giving him a continued voice on city issues after his council service. This particular democratic transition in Cornelius comes with significantly less drama than the last changes to the City Council's composition more than seven years ago. That year, voters recalled then-Mayor Neal Knight and two city councilors from office, leaving Dalin and Councilor Steve Heinrich as the council's only incumbent members. Crowder, Orozco and Dave Schamp, who now serves as council president, were appointed following the recall election to fill the three vacant seats on the five-member council. Hernandez is an emergency manager for Portland General Electric who previously worked for the Hillsboro School District. Colgan is a math teacher at Neil Armstrong Middle School in Forest Grove. 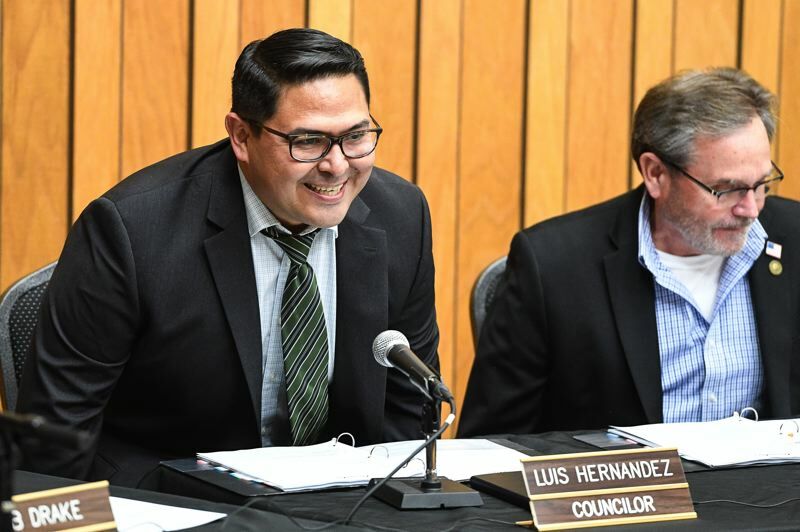 Both Hernandez and Colgan previously volunteered for the city, with Hernandez serving on the planning commission and Colgan sitting on the budget committee. Dalin also took the oath of office Monday, as he was re-elected to a new two-year term without opposition last year.